Firewood is in Kamuli district, where the Buwaiswa region is located, with 96,7% by far the most commonly used source of household biomass energy followed by charcoal with 2,8 % 1). The annual per capita consumption for an eight member household ranges between 228 and 341 kg 2). For commercial purposes 55% use it to burn bricks, 26% to distil Uganda Waragi (local gin) and to brew beer, 10% to cure fish, 6% to cook food in restaurants. Only 3 % reported to burn charcoal 3). This number is in all likelihood much higher since burning charcoal is illegal in certain areas of Uganda, i.e. alongside streams where the most natural forests grow, and requires a governmental license which will be duplicated and traded 4). Though people reported that firewood is still around in abundance a vast majority also feels that due to an over-exploitation of tree species for timber and charcoal production firewood stocks are declining 5). Charcoal production is generally not profitable due to high conversion losses except for the producers who realise their profit at the expense of the environment. It has a negative impact on biodiversity because it consumes large quantities of slow-growing hard wood species thus being a major cause of tree felling 6) and immediately threaten natural forests 7). Furthermore, the emissions the use of charcoal generates pose health risks 8). Of course, this holds true for wood fueled fires as well, especially when ignited indoors 9). The collection of firewood for domestic use is considered to be more sustainable than using charcoal. First, energy efficiency of firewood is greater and, second, collectors of firewood for home use usually do not fell whole trees but rather collect dead branches 10). Nevertheless, charcoal remains the cheapest fuel in urban areas of Uganda where firewood is not that readily available. 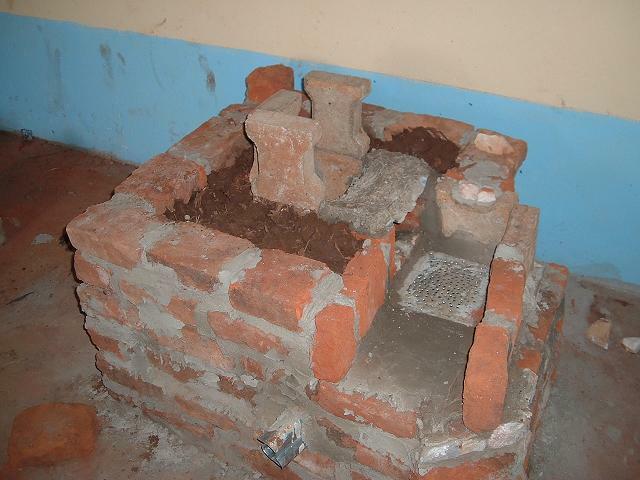 The use of briquettes made from plant residuals and sawdust in combination with improved stoves might bring this development to a halt 11). Overall, fuel wood extraction accounts for 65% of the tree basal area loss. The situation is further exacerbated by charcoal production, accounting for only 5%, which in many sites foster the growth of grasslands, prevent forests to regenerate 12). Three stone fires are by far the most commonly used cooking facility. When fuel is plentiful they can consume a large amount of wood to only cook a small amount of food. But in case fuel is scarce open fires, carefully controlled, rival first generation improved cooking stoves in terms of energy efficiency 13). In any case they produce harmful gases. 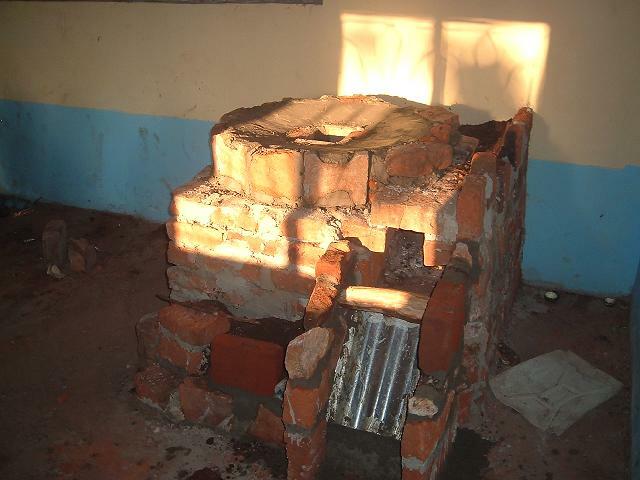 Improved cooking stoves and ovens have the potential to reduce these emissions and increase energy efficiency at the same time thereby contributing to the fight against deforestation and health hazards. Fuel efficiency is achieved by reaching a maximum level of combustion and heat transfer to the pot. A complete combustion can be ensured by insulating the combustion chamber, the feeding tube and the chimney thereby maintaining a high temperature throughout the system. Another important feature is the speed of the hot flue gases. When gases pass the cooking pot, or in this case the oil drum, always a thin layer of insulating air surrounds the surface of the pot. In order to avoid this it is necessary to speed up the flue gases to the effect that the insulating layer is blown away 14). That is where it is important to have a properly sized gap between pot and pot squirt, or first and second drum (see figures 1 and 2). For the Rocket Oven a one inch gap (2,54 cm) was used. As regards the distance between bottom of the drum and chimney exit a gap of 5 cm was left 15). Also, the principle of constant cross sectional areas is to be considered. This principle ensures that a high draft is maintained throughout the system thereby reducing the insulating layer around the pot. The same principle is also important for keeping the fire hot. To little fresh air slows it while to much of fresh air cools it down. It was attempted to take most of the ten design principles for wood-burning cooking stoves 16) into account as long as they were applicable to an oven as well. The first two principles state that one should insulate around the fire and the chimney. This was done by mixing clay and anthill soil with plant residues and some sand. The sand was used to make for a more even surface. Anthill soil provides for additional stability. The small pockets of trapped air inside this mixture, which can also be found in clay bricks, provide for insulation. In order to maintain a fast draft it is not only important to adhere to the principle of constant cross sectional areas. The air also has to be there where the fire occurs (principle five). To that effect an additional air channel was built in which ended directly in the combustion chamber under a grid. The grid was made out of folded and looped iron sheets (see also figure 3). The groundwork had a total area 90 cm². Within the square it measured 60 cm² corresponding to the 61 cm diameter of a standard (200 L) oil barrel. The combustion chamber had 20 cm² area while for the chimney the area had to be with 17 cm x 16,5 cm slightly smaller due to the size of concrete stones which were preferred over burned clay bricks due to better fire resistance. The feed tube measured again 20 cm². The oven itself was built using two standard 200L oil barrels (see table for a budget line). The inner drum was cut open and grids were inserted and welded on the walls. The pieces that had been cut out were welded on joints which in turn were welded on the drum and then used as doors. Apart from these three doors the inner drum is completely closed. We then took the second barrel and cut the bottom off. Then we cut it open longitudinally, wrapped it around the inner drum (see figure 2) and welded it together thereby leaving the aforementioned one inch gap between the two barrels. For reasons of stability and better transport two about one inch in diameter iron bars were welded under the construct. Last the bottom of the outer drum was cut in a hole of about eight cm in diameter and then put back on top. The two drums were then placed on top of the foundation (see figures 4 and 5). Once the barrels were in place they were framed by a wall of bricks (see figure 6). Between the barrels and the wall a gap of about two inches was left. This gap had been filled with wood ash providing for excellent insulation hence keeping the heat inside the oven. Naughton-Treves, Lisa; Kammen, Daniel M.; Chapman, Colin. 2007: Burning Biodiversity: Woody biomass use by commercial and subsistence groups in western Uganda's forests. Biological Conservation. Vol. 134, pp. 232-241, here: 238 et seq. Musisi, Abasi. 2009: Fuel from Waste fires up Uganda. Appropriate Technology. Vol. 36, Nr. 3, pp. 33-35. Baranga, Deborah; Chapman, Colin A.; Kasenene, John M. 2009: The structure and status of forest fragments outside protected areas in central Uganda. African Journal of Ecology. Vol. 47, Nr. 4, pp. 664-669. The distances were taken from a table summarising the calculations for square combustion chambers of 20 cm2 using the Winiarski-method (see Bryden et al. No date: 19). ibid., here page 12 et seq.